Bookings are now open for the inaugural Indie Publishing Forums, a series of events aimed at small publishers, self-publishers, aspiring writers, established authors, students of publishing and creative writing, and those interested in how book publishing works. 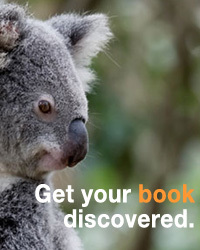 The Indie Publishing Forums are a joint initiative created by the Small Press Network (SPN), IngramSpark, Books+Publishing and the Australian Society of Authors (ASA), and supported by the Australian Booksellers Association (ABA), the Queensland Writers Centre, Writers Victoria and Writing NSW. Held in the evenings, the forums will take place in Melbourne (at the Wheeler Centre on 31 July), Brisbane (at the State Library of Queensland on 1 August) and Sydney (at the Sebel Chatswood on 9 August). Each forum will feature a keynote address by IngramSpark US director Robin Cutler on the changing technological face of publishing and how that affects a book’s pathway to market. Panels of industry experts will discuss topics such as the current state of the market in Australia, identifiers and metadata, timelines for marketing and publicity, how to deal with a distributor, author/publisher relations, and what booksellers are looking for. The sessions will also incorporate audience Q&As. Author-service providers Julie-Ann Harper, Alex Fullarton and Jenny Mosher. The Melbourne and Sydney forums will be chaired by SPN communications manager Tim Coronel, and the Brisbane event by crime writer and researcher Meg Vann. For more information, including on how to book, see the IngramSpark website.